Streetsblog’s Joe Linton takes a look at the details of Metro’s new parking policy proposal that will be going to the Metro Board at its meeting on Thursday. The policy gives Metro the legal authority to impose particular rules for its lots, formalizes the fee structure already in place and creates new policy for possibly adjusting the fees in the future. Joe’s critiques of the policy include the sheer amount of free parking still available at Metro stations — especially on the Expo Line — and the lost revenue potential from it, as well as the policy’s relative inflexibility to quickly adjust parking costs to supply and demand. The Shoupistas among us will argue that free parking doesn’t make sense economically and should be eliminated wherever possible, but the concern (mirroring that of many a small business owner) is that eliminating free parking would discourage transit patronage. Staff tells me that Metro is planning to develop a parking program master plan in the near future, which would allow the Board to adopt future parking management alternatives. Rideshare behemoth Uber has released about two months of trip data from its operations in Manhattan. Those numbers were analyzed by a transportation analyst to determine how much Uber contributed to Manhattan’s congestion. The results are hardly surprising: all those Uber vehicles on the road reduce average traffic speeds and contribute to congestion. Between 7 a.m. and 7 p.m., there were an average of 1,904 Uber cars on the road below 59th Street. That seems like a small number at first glance, and Uber highlights that fact by proclaiming it “is not the source of Manhattan congestion.” But the question isn’t whether Uber is the root cause of all congestion — it’s whether Uber is making the current traffic situation worse. The one thing that Uber has going for it is that it increases traffic less than the ubiquitous NYC yellow cabs. This, according to the assumptions in the analysis, is because Uber vehicles cruise (drive while waiting for fares) less than cabs. So what doesn’t contribute to traffic congestion in New York? The subway. In September, the subway will be a little more accessible for those going to and from the Hell’s Kitchen / Chelsea neighborhoods when the one-mile, one-station extension to the NYMTA’s 7 subway line is slated to open. New Yorkers might not be holding their breath, as the opening date has been delayed multiple times since the $2.4-billion project began in 2007. Megabus is a cheap way of getting from Point A to Point B is great, if you are doing a short route or are strapped for cash. Megabus road trips as leisure travel? That’s an off-label use prescribed for a specific type of person: the truly flexible, comfort-be-damned, all-out budget traveler. Who has room in his bag for a blanket and pillow. And a stomach capable of digesting a 3 a.m. blueberry-pancake Tornado. No surprises there. From my experience, MegaBus and BoltBus, both with stops at Union Station, are good frugal options for traveling to places like Las Vegas or San Francisco with very little hassle. I mean, if you’re going to sit in traffic anyway, why not do it with free WiFi? Source readers: now is your chance to voice your opinions to an audience wider than our comments section! The Daily News question of the week asks what you want for the future of public transit (scooters?! ), how you think we should pay for it (privatization?!) and your thoughts on boosting ridership (distance-based fares?). Joe is on Twitter posting transit and non-transit musings on the daily @joseph_lem. I used the stop at Lake the other day and was barely able to stand the noise from the passing cars and trucks. Are there any plans to provide some kind of sound mitigation for the riders who are waiting for a train? While I’ve heard talk about sound barriers in the past, I’m not aware of any current plans. One obstacle apparently is the amount of space between the tracks and the freeway lanes in which to build anything. But I’ll ask and see if there is anything happening. One of the considerations is not just thickness, but type of material. If you just use mass to bounce the sound back, you end up with a hard block wall. 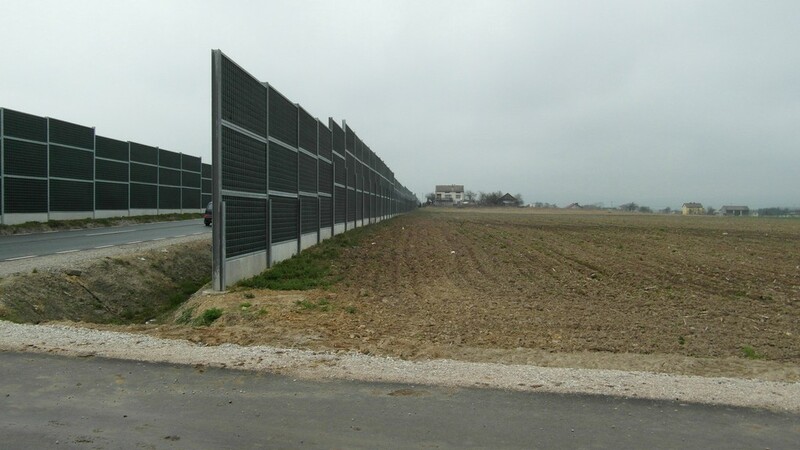 For simple soundwalls, it has been shown that varying the height of the wall can help more than making the wall taller. Similarly, using the rounded caps, that are sometimes seen on walls, is as effective as upto 2 feet of extra height. It will likely take an extra station length on each end to bring the level down to an acceptable level. While those of us on the Westside must deal with gridlock on Sunset and Santa Monica Blvd’s. everyday those at the MTA are now closing their eyes and randomly picking where the next segment of the Gold Line will go. We are not even on a list of future improvements. So sad. Vote NO on an extention of ballot measure “R” or what ever the MTA wants to call it until we see some relief. Waaaah, Waaaah, Waaaaah … Just be glad you don’t live in the South Bay. Nothing except the Green Line and a couple of north-south buses run late, kind of. East-west after nine pm, faggedaboutit! The SB Service Council is acting like Tommy from the Who’s rock opera. The paltry frequency and schedule of our SB buses is the main argument In Favor Of maintaining cheap / free parking at light rail stations. Yah the sound level at the Gold and Green line mid-freeway stations is pretty intense, but I can use ear plugs. What I Cannot filter out is the ambient higher level of rubber tired vehicle caused air pollution. Cough, Cough. Big fan of using BoltBus to the SFBA – good schedules, nice drivers and other employees. Megabus, not so much. Wow, what a lovely attitude to have. I guess the Expo Line won’t be opening in Santa Monica next year. You want to see some improvements for dealing with the gridlock on Sunset and Santa Monica Blvd? Why don’t you organize others in your community to get rush-hour bus lanes put in along those streets next, now that they’ve done it along Wilshire? Because I don’t really see any other alternative for the Westside – can’t widen the streets further for cars, not enough room for at-grade rail, and while the Purple Line extension is on its way, it’s still going to take a while yet (and let’s not forget Beverly Hills’ obstructionism). As much as I’d love to see trains running in the median of Santa Monica Blvd once more, it’s not going to happen with today’s political climate – or with the urban buildup since PE’s heyday. 1. The Santa Monica right-of-way ends at Fairfax, where the line used to cut across Hollywood on its way to the Hollywood Blvd line. I’ve followed the traces of that private ROW and it’s been parceled into innumerable pieces and all but destroyed. The only solution would to be going underground, which is expensive, and such an LRT alignment would have to end at Hollywood/Highland because there’s no chance of interlining it with HRT. 2. Beverly Hills will obstruct any efforts at better transit, guaranteed. They blocked the 2 Freeway back in the ’70s (OK, not going to begrudge them on that one). They’ve been fighting against the Purple Line for years and show no signs of stopping. They blocked bus lanes along their stretch of Wilshire. You really think they’re going to surrender their little stretch of water-hogging grassy median that serves nobody when they won’t even add sidewalks or bike lanes to that stretch of SaMo Blvd? 3. There’s already the 704 Rapid along Santa Monica. A Wilshire-like BRT upgrade, even counting on BH obstructionism, would be welcomed by its riders. It would also be doable with existing funding and could be accomplished in under 2 years, vs 10+ needed to do EIR studies for a light rail alignment. Plus, nothing stops Metro from studying future upgrades if the ridership rises. Unless Metro starts adopting some new ideas to raise revenue on their own, I’m also in the no more new Metro related taxes camp. Metro needs to start finding new ways of cutting waste, reducing expenses, and increasing revenues as a higher priority than asking taxpayers to foot the bill whenever they have budget problems. At least they’re moving ahead with ending free parking somewhat, but more has to be done, like increasing retail and merchant presence at rail stations, gating every rail station to fight fare evasion, focusing more on advertisement revenue than artwork projects, utilizing more Metro owned properties for commercial and residential development, and moving towards distance based fares at least for rail for starts. I don’t expect these to cover all Metro expenses, but they all contribute to a slice of the pie for Metro revenues that can reduce taxpayer burden. A penny Metro can earn (or save) on their own is a penny less taxpayers have to spend on Metro, and that penny in taxpayer money can go elsewhere important like our schools, I say. One must recall the history of the MTA and one of it’s predecessor agencies. The LACTC was against bus service improvements by the RTD and at one time threatened to cut off all the RTD’s subsidies if they did not cut back on service improvements. The LACTC reasoning was that it took away funds for bike paths, and other non mass transit iniatives This autitude was transfered over to the MTA with the merger. While bike routes might be a good idea it’s my belief the majority of Los Angeles’s population favor better rail and bus service. After widening the 405 for cars and providing no rail to go with it, it’s kind of hard to feel sorry for Westsiders. You would think they would learn: It’s not about fixing congestion, it’s about providing alternatives to getting around. That’s how you spell relief! The widening of the 405 was to abise those in the valley. They then got a new express bus line between the valley and the westside. All the 405 so called improvements did was create more gridlock on Sunset and Santa Monica Blvd’s. You have the demographics wrong. The Westside for the past 15 years has become a place for urban Millennials who are for higher density lifestyle and urban transit. The area now known as Sawtelle Japantown is full of high density residential buildings with many Japanese specialty stores that it has become like Little Tokyo West (or as the local call it “Little Osaka”). Millennials who attend UCLA, SMC, and Loyola Marymount all live around here and converge here to eat, shop, and play. If so, if the vast majority of residents in this area are college kids and 20-30 something Millennials, they weren’t been at the age to vote on the 405 expansion plan. Push come to shove, they would rather have a train station right next to where they live. Luckily, they will be close to Expo/Sepulveda and Expo/Bundy soon when Expo Phase II opens. If anything, if Sawtelle Japantown grows in that area, one of the stations might even become renamed as Sawtelle Japantown Station in the future. For those who haven’t had a chance to wander around Sawtelle, I highly encourage you to do so. I lived on the Westside many moons ago and was shocked to go back a couple years ago and see how Sawtelle had changed. Great neighborhood and walkable from Expo/Sepulveda. Exactly. It’s really strange how metro is ignoring its densest neighborhoods for a frequent light rail to the exurbs. A line from Hollywood/highland to points west on Santa Monica is in order. Also, central LA neighborhoods need bus only lanes on streets like western, third and Vermont. Meant to reply to fine7760. What do I want from Southern California’s mass transit system? For everything to be like the transit systems in Asia! We tried copying ideas from other US cities (honor system, flat rate fares) and selective European ones (honor system, under govt control) with bad results (high fare evasion, fare hikes, service cut backs, higher taxes), it doesn’t hurt to at least look into and start implementing Asian ideas also. One can’t simply say we want a good transit system and we need to look at places like New York, San Francisco, San Diego, Berlin, and Vienna, but disregard how they run transit in Hong Kong, Taipei, Seoul, or Tokyo. If there is some logic to the way the Chinese, Koreans, and the Japanese do things to run their transit system, those ideas and lessons should be taken into consideration just as equally as other US cities and European ones as well without biased judgments or excuses. LA is after all, has 10 million people living here from all corners of the world, where one can have breakfast at IHOP, tacos for lunch and sundubu jjigae for dinner. Concerning a Santa Monica Bl. light rail line. I’m not proposing a replacement for the P acific Electric Hollywood Bl. line but instead the old Snat Monica Bl. line that joined the Hollywood Bl. line where Sunset/ Santa Monica/Sanborn meet and continuing down town to help alleviate the grid lock on that side of town. While Santa Monica Bl. is narrow in some sections of West Hollywood and Hollywood for the most part a right of way could be built. You missed my point about the right of way in Beverly Hills. The land was granted by the federal government for use as a railroad right of way and it may still belong to either the Union Pacific or BNSF railroads. Of course the MTA may have aquired it at sometime. The bottom line is it’s a railroad right of way granted by the federal government. It was still in use well into the 1970’s moving fraight via the Southern Pacific Railroad from La Brea Ave. going west thru B.H. including the Wonder Bread factory along little Santa Monica B. If Beverly Hill will not allow the use of the right of way for light rail why would they widen the street to accommodate exclusive bus lanes? It all depends on the state of the right of way. Here’s the Abandoned Rails page for the right of way, including the ICC abandonment filing from 1972.